Here at BrickNerd we like to look back from time to time, sometime a long, long time ago. It's a big week for me as a life-long Star Wars fan. I'm off to LA today to help a friend prepare for Star Wars Celebration and attending the first day on Thursday. I'm involved in a couple projects and events I can't publicly discuss (but they're AWESOME) And the digital versions of the movies just came out. So I thought I'd go a little retro with an old favorite of mine from SPARKART! I've always been a fan of Ralph McQuarrie's inspirational illustrations, and I love when they're brought to life with LEGO. 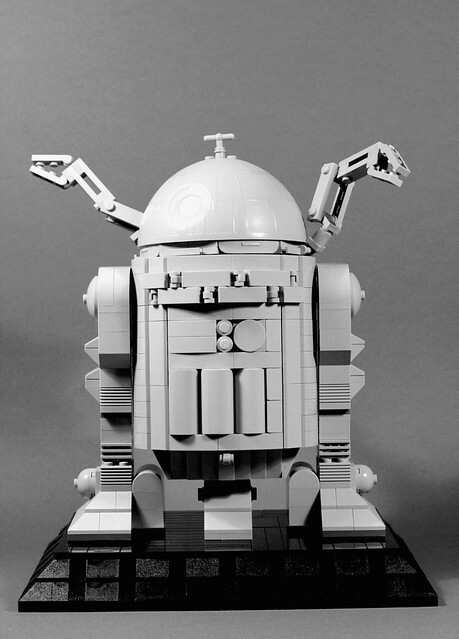 This early R2 concept is excellent.